Just because Valentine's Day has passed doesn't mean you can't embrace your romantic side any longer. According to Real Simple magazine, one of the hottest trends at the moment involves wearing garments with uber-feminine ruffles. "Like pink lipstick and stilettos, soft frills...serve absolutely no practical purpose - other than to make you feel utterly, gorgeously feminine," the news source reports. However, ruffles aren't only extremely pretty and demure, they can also be incredibly flattering. When selecting a formal dress, look for the frilly accents to draw attention to (or away from) specific parts of your body. "Fluttery details and a swirly print [will] keep eyes from focusing on figure flaws," the publication recommends. 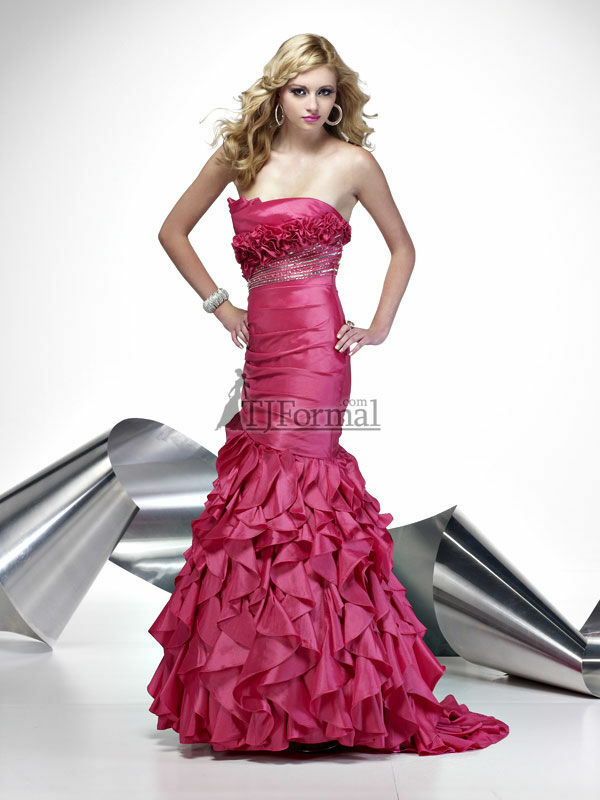 You can also incorporate ruffles into your ensemble without including them on your attire. Look for shoes, clutches and scarves that possess this frilly embellishment to subtly embrace this romantic trend. Girls who are searching for prom dresses may want to consider picking out gowns with soft ruffles for a sophisticated and feminine look. Remember to start shopping soon - it's never too early to track down the perfect piece! These dresses are fun and pretty! I love looking at the examples you give!